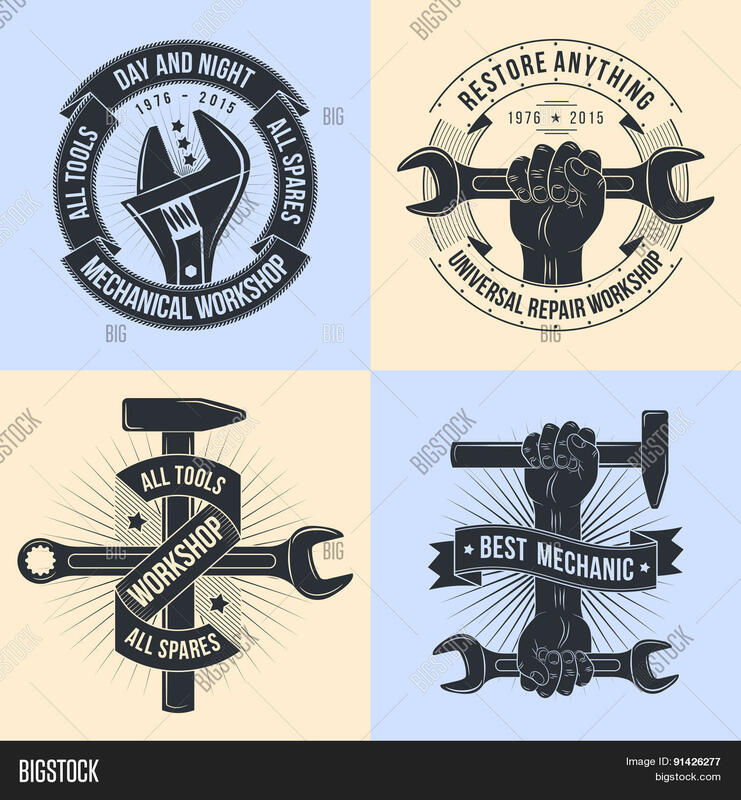 Logo for repair workshop. Emblem mechanics. 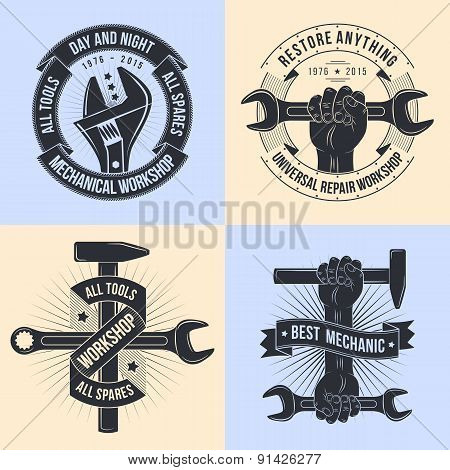 Tools mechanics - open-end wrench, adjustable wrench, a hammer. Hand with hamme, hand with a spanner. Logo workshop in the old school style.